Sikhs in Canada, particularly in the province of British Columbia, have political influence beyond their numbers, but their activism has also become a source of recent conflict in Canadian politics. 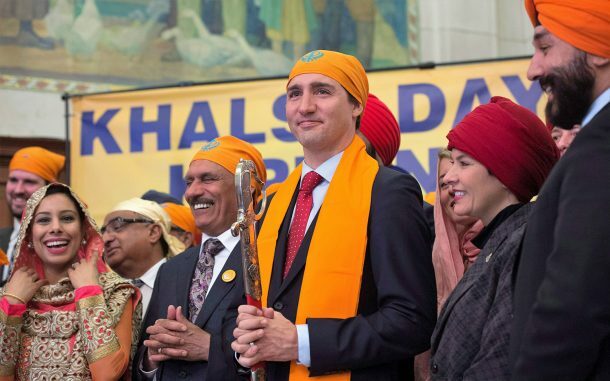 In the Vancouver Sun (March 10), Douglas Todd writes that Sikhs, who number about 500,000 in Canada, have long had a disproportionate role in Canadian politics. But Sikh support has come back to haunt Prime Minister Justin Trudeau, who was linked to Sikh separatists during a recent visit to India, while the Sikh politician Jagmeet Singh of the New Democratic Party has likewise been associated with militants supporting a Sikh homeland in India, called Khalistan. Todd notes that more than 12 percent of federal Liberal cabinet ministers are Sikhs, and there are 14 Liberal Sikh MPs. There have been renewed concerns about a resurgence of the pro-Khalistan movement in Canada and the role that Sikh temples may play in such politics.